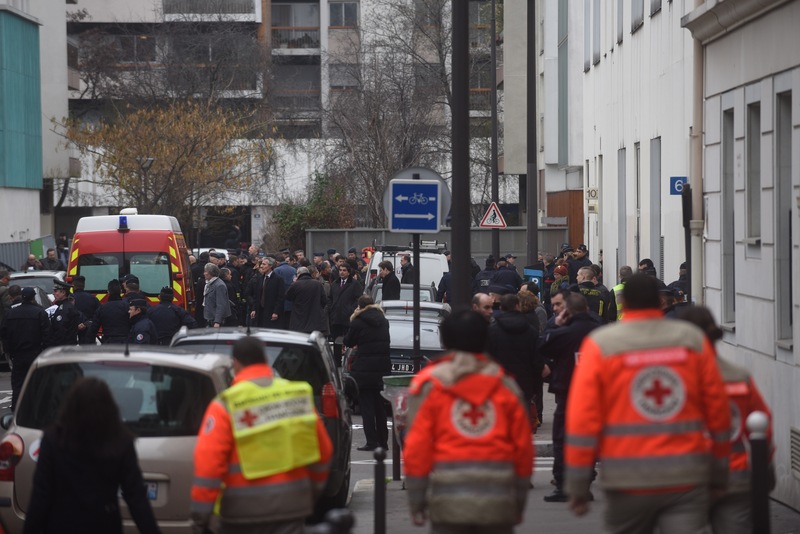 The three gunmen who killed at least 12 people at the French satirical newspaper Charlie Hedbo have been identified as Said Kouachi, Cherif Kouachi, and Hamyd Mourad, according to the Associated Press. The Kouachis are brothers in their 30s who were born in France and are French nationals, while Mourad is an 18-year-old whose nationality is still unknown. On Wednesday night, the French Interior Ministry told ABC that the youngest, Mourad, had surrendered to police. All of Wednesday, a manhunt has been underway to find the three suspects, with French outlet Le Point reporting that the suspects might be in Reims, France. One of the suspects left an identification card in the getaway car, the outlet says. Although some publications have reported that the suspects have been arrested, that remains unconfirmed. Paris Deputy Mayor Patrick Klugman told ABC News that the killers called out the names of their victims before shooting them. The gunmen were wearing all black, and it is reported that one was heard yelling "Allahu Akbar," which translates to "God is great." In 2008, one of the brothers, Cherif Kouachi, was sentenced to prison for 18 months after being convicted on terrorism charges. An official told an AP reporter the gunmen had ties with a Yemeni terrorist group. One witness told the Associated Press the attackers had said: "You can tell the media that it's al Qaeda in Yemen." The fact that this was an attack on journalists, an attack on our free press, also underscores the degree to which these terrorists fear freedom of speech and freedom of the press.